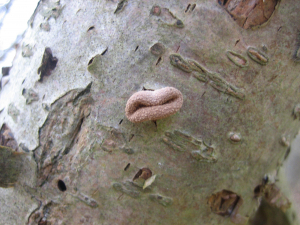 Observation - Small Fungi on tree - UK and Ireland. Description: Very small. No bigger than an adults thumb nail. Very small. No bigger than an adults thumb nail.